August 1 – Russian Defence Minister Sergey Shoigu, accompanied by his deputies, has tasted national dishes of countries participating in the first International Army Games in Russia that runs from Saturday, August 1, to August 15. The contest of military chefs “Field Kitchen” is part of the program. The minister started with tasting traditional Russian round loafs, appreciating them a lot. Then the del…egation continued its gastronomic tour, tasting Belarusian dishes, and giving high marks to bakery products. Having tasted Chinese national dishes, the high-ranking commission specifically marked ‘delicious rolls’. Besides, they were treated to Chinese bean salad, an Indian salad with tomatoes and bananas and traditional curry chicken with rice. The cooking contest will be held on August 1, 5, 13 and 15. On the opening day, the guests and participants will be able to try dishes prepared by cooks from the countries participants in the Games – Russia, Belarus, India, Kyrgyzstan, China, Kuwait, Azerbaijan, Armenia, Kazakhstan, Kyrgyzstan, Mongolia, Serbia and Tajikistan. More than 2,000 participants from 17 countries take part in the International Army Games, invented by the leadership of the Russian Defence Ministry, held between August 1 and 15. MOSCOW, July 24. /TASS/. 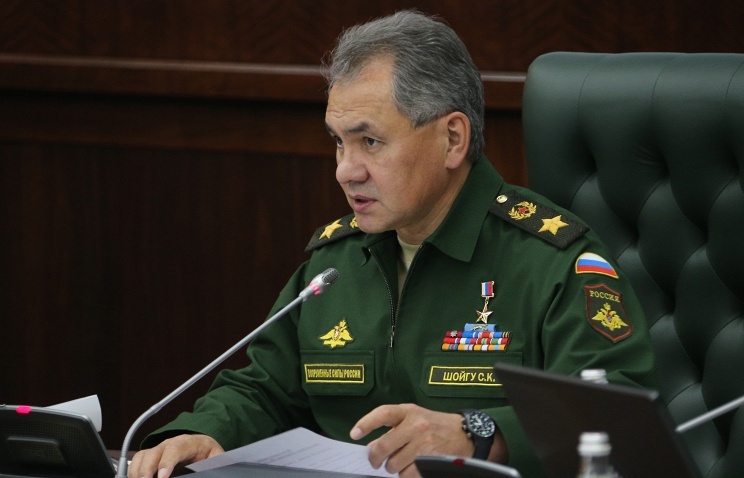 Russia’s Defense Ministry is conducting a scheduled rearmament of troops stationed on the Kuril Islands, Defense Minister, General Sergey Shoigu said at a meeting of the ministry’s collegium on Friday. “Modern houses, hospitals, theaters and roads are being built. A new airport on the Iturup Island was commissioned last autumn,” the minister said. Japan disputes Russia’s ownership of the southern Kurils. On Friday, Japan’s Foreign Minister Fumio Kishida sent to Russian Prime Minister Dmitry Medvedev a request to cancel his trip to the Kuril Islands. In a statement sent to Medvedev through the embassy, Kishida said: “If the trip [by Medvedev] takes place, this will run counter to Japan’s position on the issue of the four northern islands and will hurt the feelings of the Japanese people.” The Japanese Foreign Ministry also said that a similar request had been forwarded to the Russian Foreign Ministry, asking the Russian premier not to visit the territories claimed by Japan. Medvedev on Thursday announced his plans to visit the disputed islands in Russia’s Far East — known as the Southern Kurils in Russia but as the Northern Territories in Japan — and advised other ministers to follow his example. “I am planning to go and have a look how matters stand there. And I invite the others,” Medvedev told a government meeting, without giving any specific date of his trip. Medvedev first visited the Kuril Islands in 2010 when he was holding the post of the Russian president. He became the first Russian leader to visit the islands. In 2012, the premier visited Kunashir, southernmost of the Kuril Islands. Japan, which claims four of the Kuril Islands, including Kunashir, protested against Medvedev’s visits. However, Moscow has repeatedly stated that Tokyo has no right to give Russian leaders advice on the routes of their domestic trips. KAZAN, April 29. /TASS/. Russian Defense Minister Sergey Shoigu gave instructions on Wednesday to study the issue of resuming the production of Tupolev Tu-160 (NATO reporting name: Blackjack) supersonic strategic bombers at the Kazan aviation plant in the Volga Republic of Tatarstan. “It is necessary already today to start implementing tasks not only for keeping in good order and modernizing the fleet of long-range aviation but also for reproducing Tu-160 missile carriers,” Shoigu said during a visit to the Kazan plant. The Tu-160 bomber is “a unique plane that has been several decades abreast of time and has not used its constructive possibilities to the full extent until now,” the Russian defense minister said. “No one has devised a better plane in the supersonic category up to date,” Shoigu said. The Russian Air Force currently operates about 15 Tu-160 strategic bombers. The missile carriers are undergoing modernization, which was announced in 2012. According to previous reports, Defense Minister Sergey Shoigu held a workshop on the restoration and maintenance of the country’s long-range aviation fleet. The Defense Ministry said Shoigu has visited the Kazan Aviation Plant and gave orders to furnish the enterprise with new equipment to boost the long-range aviation power. Ahead of the meeting, the ministry said, Shoigu visited shops of the aircraft plant where the Tu-160 and Tu-22M3 bombers are repaired and modernized. 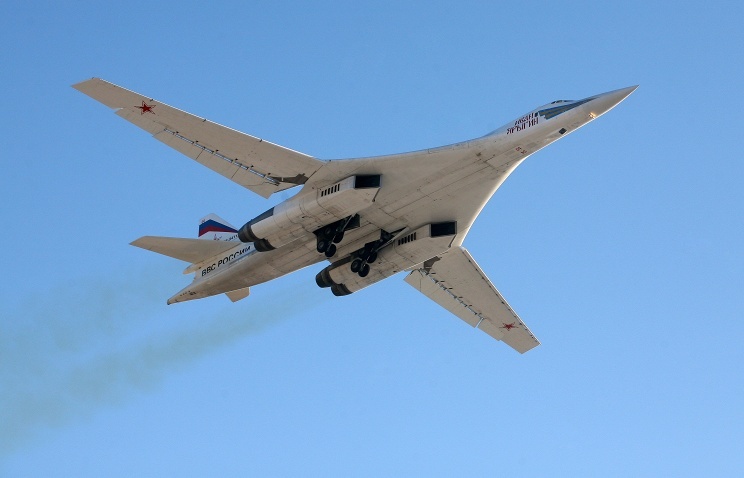 The Defense Ministry press service told TASS on Wednesday that Russia’s Air Force will get two strategic bombers Tupolev Tu-160 and twelve long-range Tu-22M3 bombers before the end of this year. In February, Russian Air Force Commander Viktor Bondarev said that deep modernisation of five Tu-160 and nine Tu-22M3 aircraft would be completed this year. “Six more Tu-22M3 aircraft have been taken for modernization to the Gorbunov Kazan Aviation Plant,” the press service said. MOSCOW, April 16. /TASS/. The Treaty on Open Skies and the Vienna Document intended to implement confidence and security building measures fail to fulfill their purposes, Russian Defense Minister Sergey Shoigu said at the 4th Moscow international security conference on Thursday. “The agreements aimed at building trust in the military sphere between the European states – the Vienna Document and the Treaty on Open Skies – are not fulfilling their purpose,” Shoigu said. The minister stressed that in general the current relations between Russia and the European countries are in a state of crisis. “The confidence in which we had invested efforts and initiatives for many years is undermined. They talk to us using the language of sanctions,” Shoigu said. “There is no success in creating a single space of peace, security and stability in the Euro-Atlantic. The proposal to conclude the Treaty on European Security is not backed. Instead, they continue forcing up the outdated schemes of the Treaty on Conventional Armed Forces in Europe,” he said. On Thursday, Moscow hosts the 4th international security conference organized by the Russian Defense Ministry. A key topic of the forum is Global Security: Challenges and Prospects.The representatives of more than 70 countries, including over ten defense ministers and delegates from six international organizations, are participating in the conference, the Defense Ministry said. March 3 – Russia and Egypt plan to sign a protocol on military cooperation that will set the guidelines for a long-term perspective, Russian Defense Minister Sergey Shoigu said on Tuesday. “A major result of joint work will be the signing of a protocol between the Russian government and the government of Egypt on military cooperation. This document will set the guidelines for our relations in this sphere for years,” the Russian minister said. Shoigu said it was time to begin to fill the agreement with “concrete content,” with a special focus on joint anti-terrorism efforts. “Naturally, in focus will be issues of training Egyptian servicemen at Russian higher education establishments of the Russian defense ministry and a number of other matters of mutual interest,” he said. The Russian minister stressed that Egypt was Russia’s leading partner in the Middle East. Moscow “is determined to continue efficient cooperation” with Cairo in various spheres, he said. “We rely on principles that have traditionally been laying in the basis of relations between the peoples of our countries — mutual respect and non-interference into domestic affairs, observing sovereignty and due account of each other’s interests,” Shoigu said, adding that this course had been confirmed at the talks between the two countries’ leaders in Cairo in February. Russia-Egypt military cooperation to be given fresh impetus. Military cooperation between Russia and Egypt is to get a fresh impetus based on the rich joint history of the two countries, Egyptian Defense Minister Sidgy Sobhy said on Tuesday at a meeting with his Russian counterpart Sergei Shoigu. “We must pool efforts to rebuff regional and international threats, first of all, terrorism,” he said. The Egyptian defense minister thanked Russia for its support to Egypt in its anti-terrorism efforts. 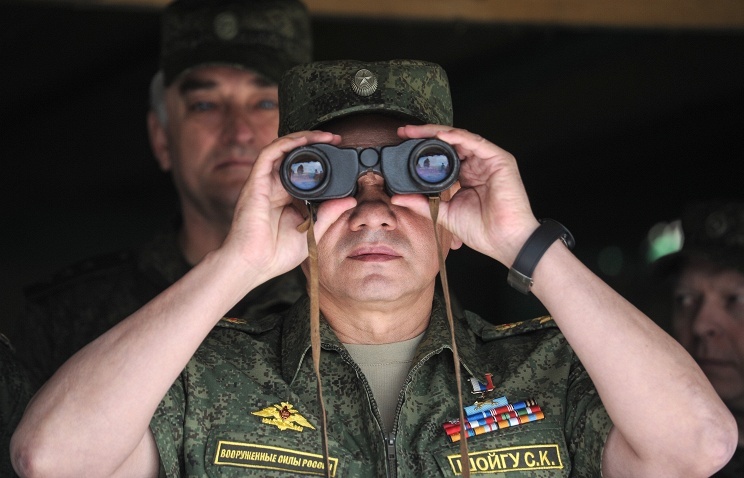 February 24 – Russian Defense Minister Sergey Shoigu advised those who are much interested in the position of Russian troops in the country to mind their own business. “When someone is speaking and saying our troops are at a wrong place on the territory of our country, I want to say that it is up to our supreme commander-in-chief, up to our country to decide. We don’t meddle with your business, so why do you me…ddle with ours?” Shoigu said on Channel One. The minister commented on recent inspections conducted by foreign military in Russia. 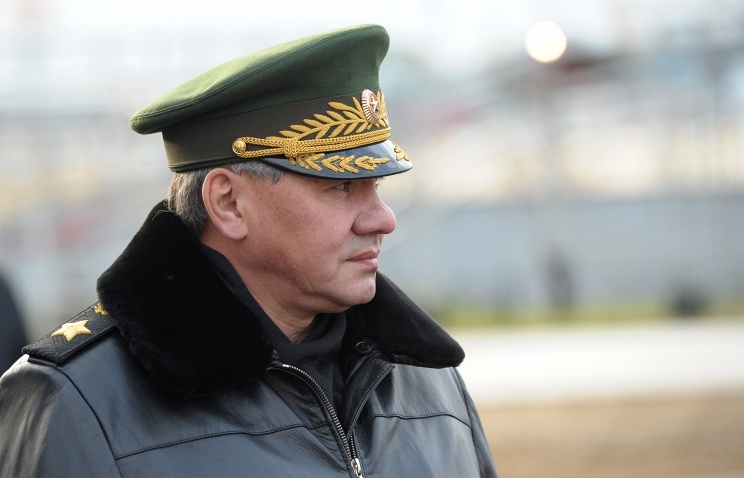 Shoigu stressed that the inspectors should speak out about the results of their inspections. Three foreign military inspections have been carried out in Russia’s southern regions bordering Ukraine since the beginning of the year. The inspections were conducted by Ukrainian, Turkish and Dutch military experts.